The creator of Everyday Cardio Care, Inc., Gregory Luque, has suffered from hypertension most of his life. Hospitalized twice for two episodes of life threatening elevated blood pressure that caused kidney failure in 1989 and 2001, he was prescribed 3 blood pressure medications that only moderately lowered his BP. Frustrated mostly by the adverse side effects from these medications, he set out to find a better way to control his high blood pressure. Over the last 15 years his research (combined with a strong medical background in cardiovascular medicine) found natural antioxidant, herbal, mineral, and other plant source ingredients that not only manage high blood pressure but also improve the cardiovascular and arterial system. He has managed to lower his blood pressure from 185 over 95 to everyday readings of under 120 over 80. His long everyday journey to find a successful formulation for himself inspired him to share his formula with everyone who suffers with high blood pressure. This is how Everyday Cardio Care was created. The research and development to create our formula is based on actual clinical and scientific researched evidence that shows positive therapeutic effect in treating hypertension from 100% natural sources without the side effects from the long term use of prescription drugs. In addition, our formula also aids in improving cardiovascular function, arterial elasticity, and bodily inflammation and pain...something high blood pressure medications cannot do as they only treat the symptoms. The practice of medicine in India is known as Ayurveda and has been practiced for centuries. The difference between Ayurveda and Modern Medicine is quite simple. Modern Medicine treats the symptoms only and Ayurveda treats the entire body as a whole. Through the advancement of science, modern medicine is the perfect tool in cases of trauma and serious illnesses. However, Modern Medicine is a disease care system and its job is to manage the disease. When you walk into a doctor’s office, they will ask you your symptoms, check your temperature and blood pressure, and then write a prescription. That prescription will often come with many side effects and that same prescription will not be a cure, but rather a symptom suppressor. So in reality, most drugs never really take care of the problem, they just manage it. Ayurveda on the other hand, finds the root cause of the problem and treats the problem and body as a whole, rather than just the symptoms. Everyday Cardio Care embraces the natural herbal remedies of Ayurveda to treat high blood pressure for the simple fact that these herbs, minerals, and other plant sources have no known side effects unlike prescribed hypertensive drugs. The continued use of prescription drugs and their side effects does not out weigh the short term benefits they provide in the long term. 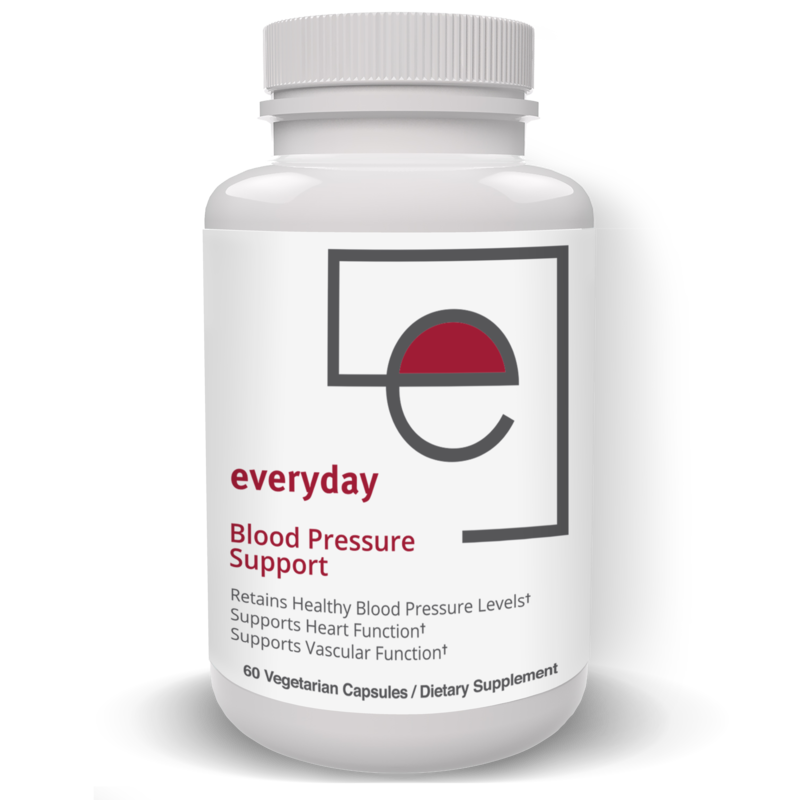 Everyday Blood Pressure Support was created to not only manage blood pressure but to improve your heart and vascular function as well with no known serious side effects. Our clinically tested extract formula of Arjuna, Gokshura, Hawthorn Berry, Punarnava, Rauvolfia serpentina, Shankhpushpi, Jatamansi, and Magnesium also helps to attack arterial plaque and improve blood vessel elasticity to improve cardiovascular function. Our formula has also shown to be beneficial in lowering triclyceride and LDL cholesterol levels. A side benefit are the anti-inflammatory properties of these herbs that may alleviate some bodily inflammation and pain. In Ayurvedic medicine, herbs and minerals are added to cut down the side effects of a medication. Add to this a combination of nutrition, exercise, and stress management has proven to be very successful in treating hypertension. ACTUAL CUSTOMERS and are unsolicited.